ENJOY UNPARALLELED SERENITY & TRANQUILITY WITH ALL YOUR SENSES! 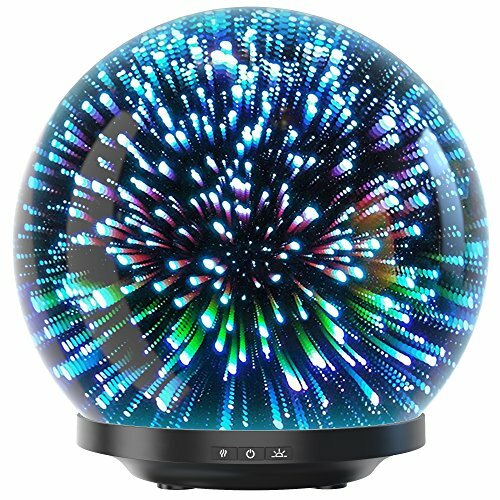 Our exclusive 3D glass aromatherapy diffuser is here to help you embark on a unique adventure through the invigorating scents of essential oils while the marvelous LED lights will offer you an unmatched light show with countless color variations. All you have to do is dim the lights, kick back and let the soothing scents and calming lights help you release all the tension of a hard day at work. FEEL REJUVENATED, INVIGORATED & REFRESHED WITH OUR 3D AROMA DIFFUSER! The super-cool LED lights can double as a stunning night lamp, so you can enjoy a relaxing night's sleep while the auto shut-off function will help you sleep without any worries. Plus, the HUGE 230ml water tank will help you save your time and effort, since you don't have to fill it up every couple of hours. (6-8 hour run time) Just press the button and enjoy the incredible aromatherapy show. If you have any questions about this product by Aroma Outfitters, contact us by completing and submitting the form below. If you are looking for a specif part number, please include it with your message.